The recent death of Jeremy Thorpe shines a light on one of the most controversial political lives. It is a story worth telling, because it is is story that would have had a different outcome today. It begins with an Eton and Oxford educated man who ascended to the leadership of a Parliamentary party because 6 out of 12 Liberal MPs put his name on pieces of paper that were then tossed into a cup on a table. Next comes the 1970 election, when the Liberals won a paltry 8.5% of the vote (although I reckon the current Lib Dems might take that right now!) and only 6 seats. This was followed by a period of political turbulence and industrial strife and the ‘three day week’ leading then Conservative Prime Minister Ted Heath to ask the public ‘who runs Britain’ only to find it wasn’t him. In that February 1974 election, the Liberals more than doubled their share of the popular vote to 19% and their seats went up to 14. Jeremy Thorpe was invited to No 10 for Coalition negotiations and offered the job of Home Secretary, but turned it down as Heath wouldn’t give him electoral reform in return. So we had another election in November 1974. The Liberals won 14 seats again. In 1977 they were approached by Labour Prime Minister Jim Callaghan to form a pact that protected Labour in the case of a ‘no confidence’ vote, since they had lost their majority in a by-election. This meant some Liberal Party policies as part of their government programme. This could have been the pinnacle of Jeremy Thorpe’s career. Except he wasn’t Liberal leader any more. David Steel was. Why? Well, in 1961 Thorpe had met a man called Norman Scott, who was at the time 21. After Thorpe had been elected Liberal leader, Scott emerged to allege that he and Thorpe had conducted a homosexual relationship between 1961 and 1963, at a time when such acts were illegal in Britain. Over the years following the allegations emerging, many attempts were made to allegedly quieten a Scott, leading in 1975 to his Great Dane Dog Rinka being shot as a warning to him. When Scott came forward with this, Thorpe decided to resign in 1976. Worse was to come, in 1977 the man who had shot the dog was released from prison and alleged that He was actually hired to kill Norman Scott and Thorpe had been involved in the plot. Thorpe was charged with conspiracy and his trial at the Old Bailey was set for 1979, although delayed by his almost farcical attempt to be re-elected as an MP in that year’s election. In the end, it couldn’t be proven that Thorpe had been involved and he was fully acquitted. Jeremy Thorpe never talked about the case nor Norman Scott publicity until his death last week of Parkinson’s disease. He had been appointed Head of Amnesty International in 1982, partly in recognition for the commitment to human rights he had showed as Liberal Party leader, but the staff had revolted and the invitation was withdrawn. So a career that could have resulted in Jeremy Thorpe having considerable influence in British Politics ended early. All because he and people around him were so worried about the impact of it being alleged that he had had a homosexual affair when it had been illegal. Although homosexual acts were legalised in 1966, we haven’t yet had a gay party leader, but we will do, and that will show how much we have changed. 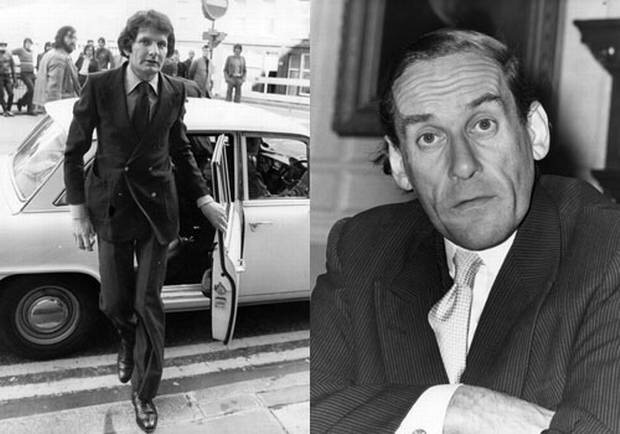 Jeremy Thorpe’s story continues the tradition of scandals where it isn’t the ‘crime’ that gets you, but the ‘cover up’. Luckily, we live in a different world now.